Blu-ray, known as Blu-ray disc (BD), is a next generation format developed to deliver High Definition video content and or large amounts of data. As a digital optical disc data storage format, it was first created by a group called the Blu-ray Disc Association which represents makers of consumer electronics, computer hardware, motion pictures and media manufacturers. It is capable of storing, recording, rewriting and playback several hours of video in high-definition (HDTV 720P and 1080P), ultra high-definition resolution (2160p), as well as large amounts of data. How much data can a Blu-ray disc hold? As its format is able to provide more than five times the storage capacity of traditional DVDs, it can hold up to 25GB on a single-layer disc and 50GB on a dual-layer disc. What is more, Blu-ray products can easily be made backwards compatible with CDs and DVDs. Currently, Blu-ray is supported by about 200 of the world’s leading consumer electronics, personal computer, recording media, video game and music companies. And a lot of studios have also announced that they will begin releasing new feature films on Blu-ray Disc day-and-date with DVD, as well as a continuous slate of catalog titles every month. How does Blu-ray work? Below is the answer. How does a Blu ray work? What are Blu-ray Region Codes? How to use a Blu-ray ripper to rip Blu-ray to common video for convenient playback on mobile devices? How does Blu-ray work? As we all know, digital information is stored on optical devices in pits along a spiral groove running along from the center of the disc to its edge. The blue laser allows BD to utilize smaller pits and lands than are used on SD DVDs. To figure out how how much data can a Blu-ray disc hold, keep reading further more. Because the pits and lands are smaller they can be placed closer together resulting in more information being stored on the same size disc. The higher number of pits translates to a higher capacity for the disc. These smaller areas of data can then be read by a shorter wavelength blue laser. DVDs, for example, use 650-nanometer red lasers during operation, however by decreasing the wavelength of the laser beam to 405 nanometers – blue light, which also gives the disc format its name – smaller pits may be written/read on the support surface. That is how Blu ray works. With the combination of different optics and faster disc rotation, BD discs can store 5X more data than SD DVDs. Though the Blu-ray and DVD discs have the same thickness, the Blu-ray discs also solve the problems which are related to birefringence and disc tilt. In general, when the laser beam becomes so distorted and reading processes cannot be carried out, by making use of a much thicker polycarbonate layer, while laser system stands closer to the disc surface thus removing the disc-tilt reading problem. With the detailed explanation, we understand more about how Blu-ray works. Yet Blu-ray discs often come region-coded. It is really inconvenient. Then there comes the question, how to solve the Blu-ray Region Codes problems? Is there any region free player that will lay discs from any region from any country on the planet? The answer is yes. Blu-ray players are plentiful. Check out the best region-free Blu-ray players to play any Blu-ray as you want. With built-in Wi-Fi connectivity, you can wirelessly stream movies, TV shows, music, and other content from a wide variety of entertainment apps including YouTube, Netflix, Hulu Plus, and Pandora. In other words, you are able to share movies, music, and photos using your TV screen and a variety of compatible devices including smartphones, tablets, computers, hard drives, and more. Besides, it supports advanced audio formats like Dolby Digital Plus, Dolby TrueHD, and DTS HD Master Audio. This makes it probably the best region-free Blu-ray player available. There is also a remote control, and you can control the multiple Samsung devices from a single remote. Moreover, no additional cables or wires are needed to connect to your wireless home network. With Sony BDP-S6500 Blu-ray DVD Player, you can find out exactly how a smart blu ray player works, for it can supercharge your entertainment with a built-in, dual-core processor and 4K output1. Undoubtedly, it is able to enhance what you watch with four times the resolution of Full HD and stream wirelessly from over 200 different services. Perhaps you don’t have a 4K TV, but you may get one down the road. This Zone Free Blu-ray DVD Player can convert Blu-ray video signals to the new 4K Ultra HD format for sending to a 4K display. It’s your movies, TV shows and music like never before. Its 2D to 3D conversion feature will allow your DVDs or Blu-ray Disc movies to be automatically converted into 3D for playback on your 3D TV. Even more, Sony BDP-S6500 allows you to view pictures and videos which are playing on your device to the big screen. Time to enjoy the high picture quality of Internet entertainment and crisp, clear images on your TV with IP Noise Reduction Pro. 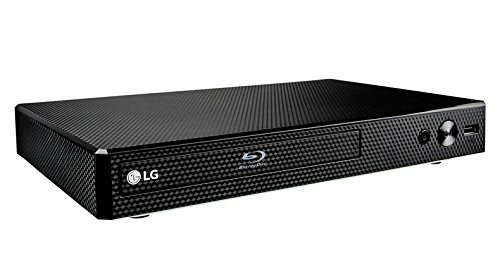 Model LG BP165 Region Free Version allow you to play any region Blu-ray Guaranteed Excellent (Including Region A, Region B, and Region C)for those who don’t need Streaming Wifi Smart or those who have a Smart TV already and just need a Blu-ray player. This wonderful Blu-ray disc playback delivers exceptional Full HD 1080p video performance along with stunning hi-definition sound. And it is easy to use and compatible with DVDs, too. It supports PAL and NTSC with full conversion so you can play any DVD or Blu-ray on any TV. 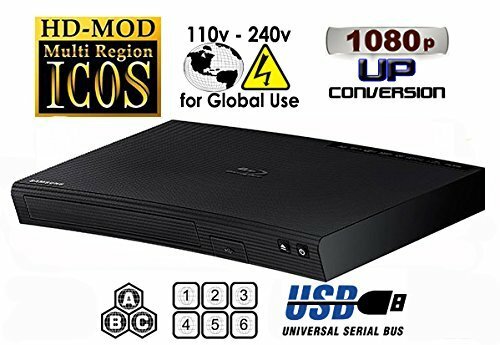 In addition, at 110-240 volts, the blu ray DVD player works internationally with electricity around the world. Besides Playing Blu-rays from anywhere in the world, it will also Stream from Netflix®, Amazon Instant Video®… After you buy this one, you will be definitely surprise how does a smart blu ray player work. After getting an overview of some region-free Blu-ray players, frequent travelers will be happy to pick up a Blu-ray from anywhere and are guaranteed it will play. As far as I am concerned, a region-free player is also an excellent investment for fans of foreign films and shows. Maybe you’ve got shelves of Blu-rays from the days before streaming. What shall you do if you want to digitize your collection? Below I will introduce you a Blu-ray ripper to rip Blu-ray to common video for convenient playback on mobile devices. 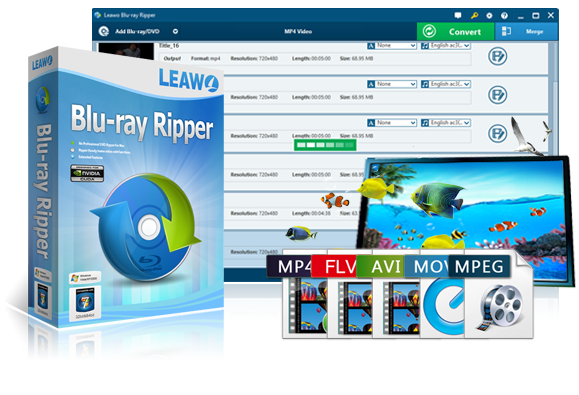 Being the best Blu-ray ripper software, Leawo Blu-ray Ripper could rip and convert Blu-ray to video and extract audio off Blu-ray to save in all formats for any media player and device. It could rip and convert Blu-ray/DVD to MP4, Blu-ray/DVD to MKV, Blu-ray/DVD to AVI, Blu-ray/DVD to WMV, etc. 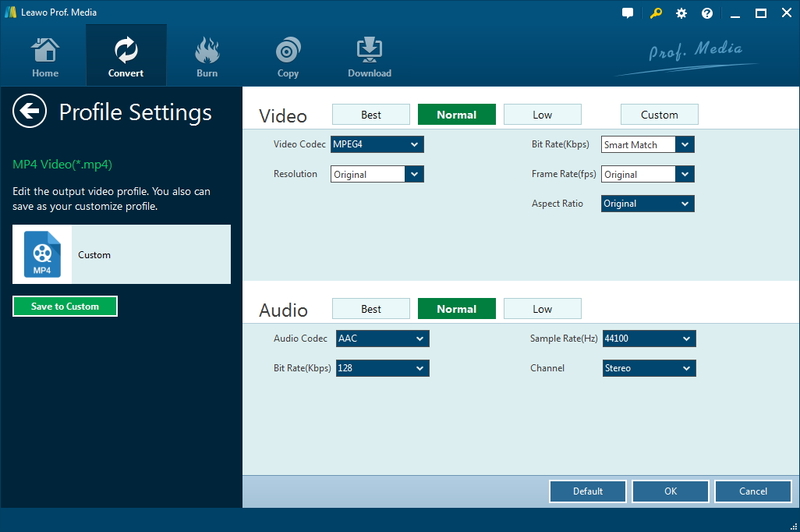 What’s more, this Blu-ray DVD ripper software could rip and convert Blu-ray/DVD to 4K video, 1080P video, 720P video and regular video so as to let you fully enjoy Blu-ray/DVD disc on 4K TV, 1080P displays, or mobile devices. ☉ Supports ripping Blu-ray to MP4, AVI, WMV, lossless MKV and a lot of other popular formats. 1. Kick off Leawo Blu-ray Ripper to enter the home page, and click “Convert” on the sub-menu. 2. Directly drag and drop source Blu-ray files into the converting panel. Once Blu-ray content is imported, you will be given 3 option to import Blu-ray file(s): Full Movie to import all titles, Main Movie to import the longest title by default and Custom Mode to freely choose titles. 3. 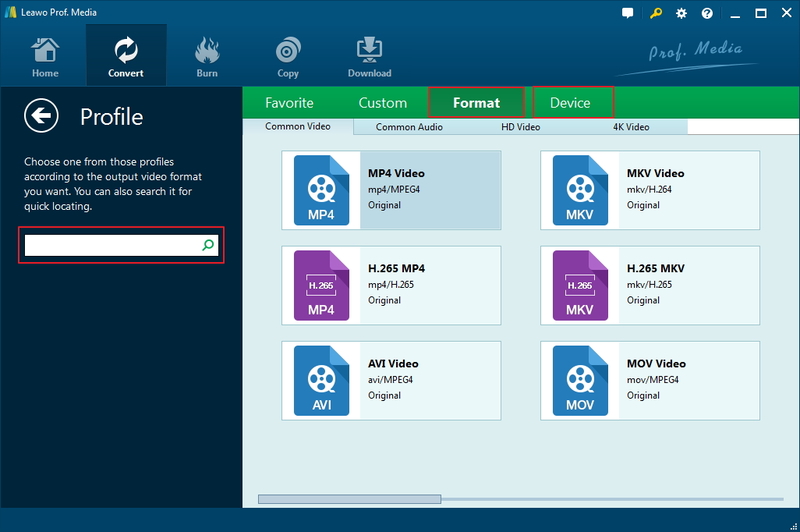 To choose output profile, click “MP4 Video” >”Change”, you can choose either video/audio format or mobile device as output profile under “Format” or “Device” group. There are also various video/audio formats and device models available for selection. If you want to play the movie on your iPhone or other mobile devices, you should probably select MP4 to have the program convert Blu-ray to MP4. Also there’s the lossless MKV format you can choose to let the program convert Blu-ray to lossless MKV. 4. To set video and audio parameters, you can click “MP4 Video” >”Edit”. 5. After profile settings, return to the converting panel, and click the green “Convert” to set output directory for saving the output files. 6. Click the “Convert” at the bottom of sidebar to start conversion process. Here’s the video guide of Leawo Blu-ray Ripper for you to quickly learn how to use the program. How does a smart Blu ray player work and how to rip them? You should have an answer after reading the above content. You can digitize your movie and TV show collection easily, and you can play them on mobile devices any time anywhere as you wish with the help of the above software.